Summer is here! 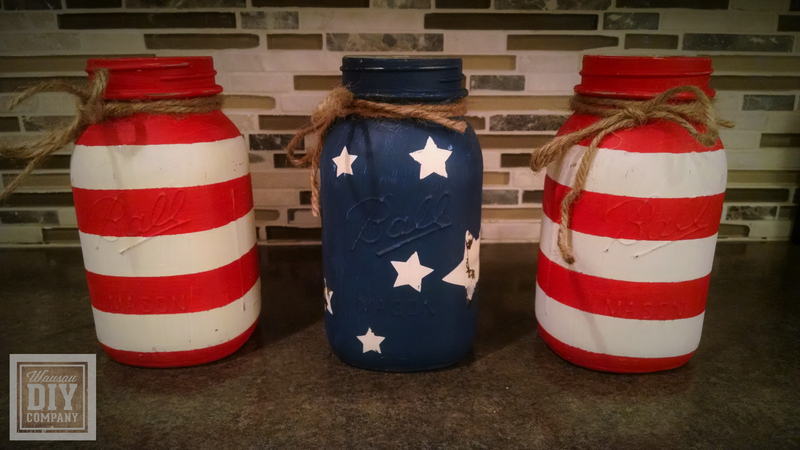 These Americana inspired mason jars are the perfect addition for any summer picnic or barbecue. They make the perfect centerpiece that is simple to create. 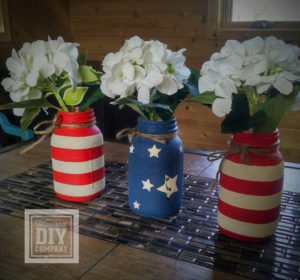 Check us out on WSAW News Channel 7 at 5:00 pm to see us demo how to make this fun centerpiece. Wipe each of the canning jars clean with rubbing alcohol. 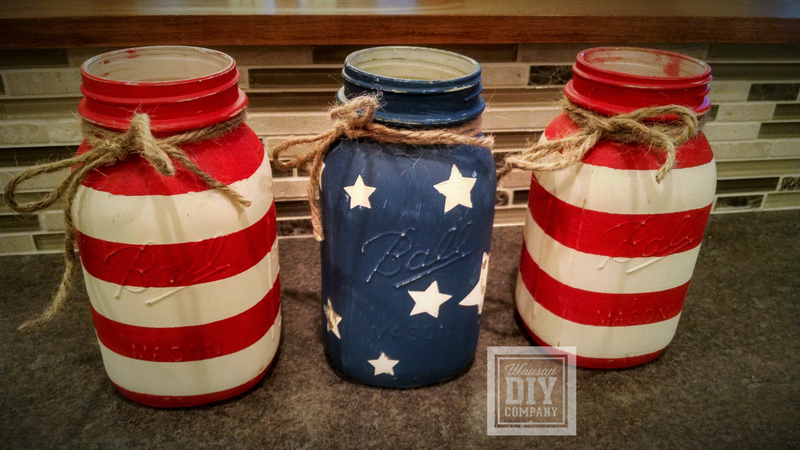 Paint each of your canning jars white. 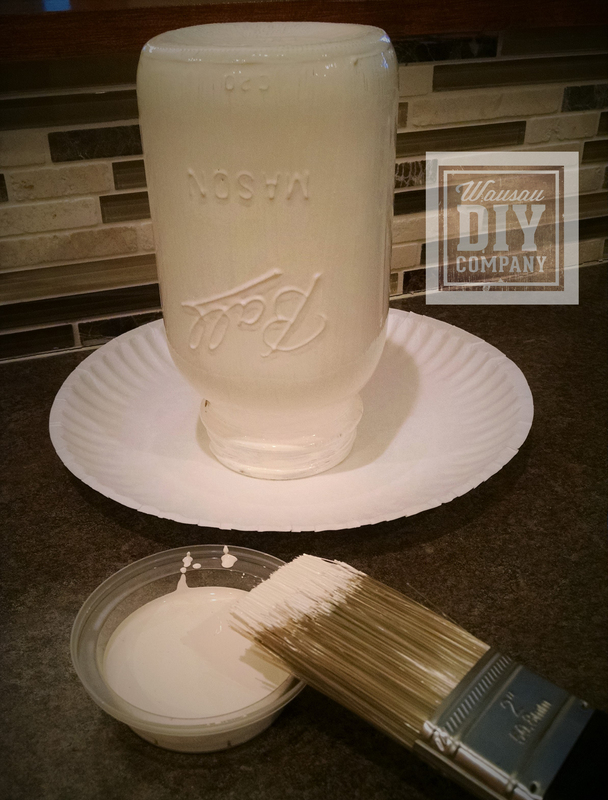 The white paint can be a spray paint or a brushed on craft paint. Allow the white paint to dry completely. 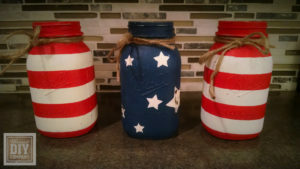 Once the white paint is dried, you will add masking tape to two of the jars to create stripes and stars to one of the jars. 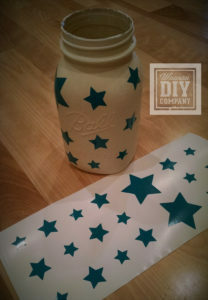 The jar with the stars will be painted blue and the jar with the stripes will be painted red. 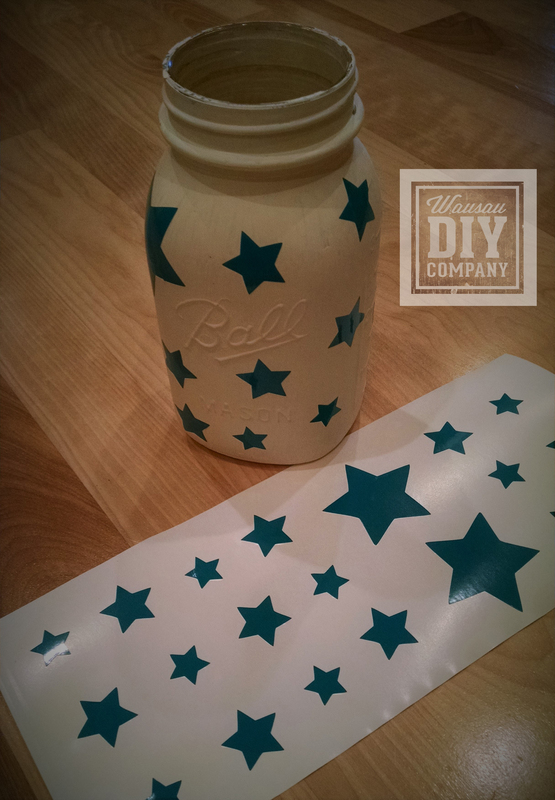 After the stars and stripes are painted, gently remove the masking tape and stars. This can be a bit challenging and some of the white paint may be removed during the process. 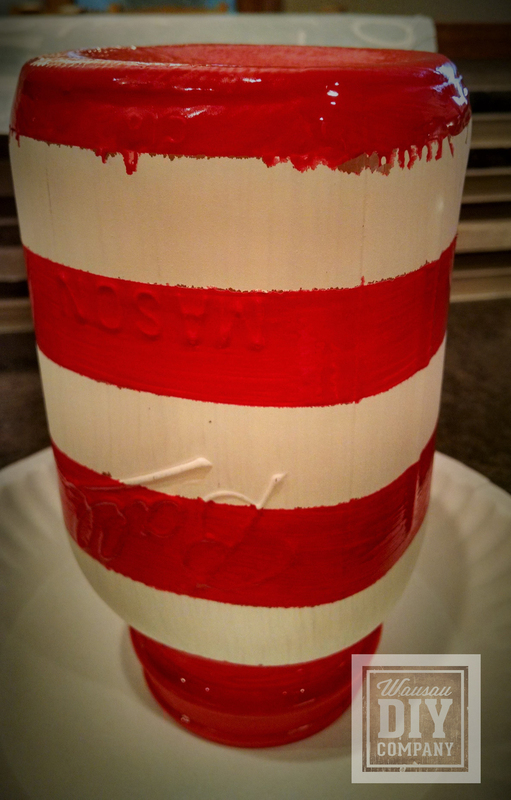 DO NOT allow the red or blue paint to dry for a long period of time prior to removing the masking tape. If you do, the paint will peel. The taping may not be perfect and some edges will need to be touched up with white paint. Once all the paint has dried, you can add any enhancements and decorations. 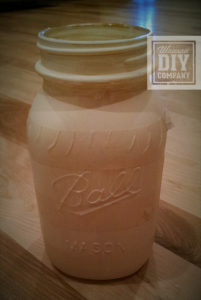 You can also sand the jars lightly to give them a distressed look. These also make a great votive holder. 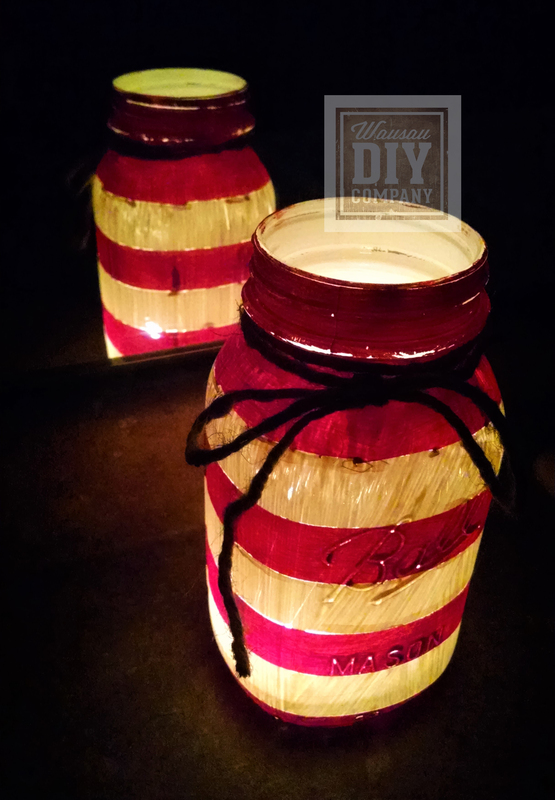 You could even use them with a citronella candle to deter mosquitoes!